Investigations into the breathtaking bank robbery that took place few weeks ago in Offa, Kwara State has led the Nigerian Police Force into inviting the President of the Nigerian Senate, His Excellency, Dr. Bukola Saraki. 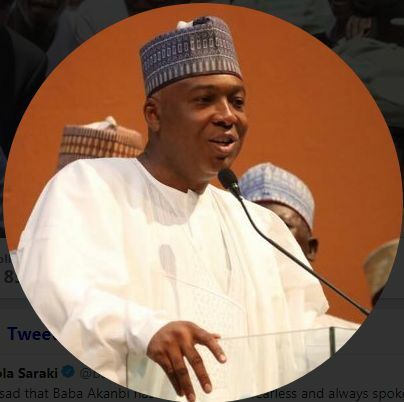 According to some inside sources within the Nigerian Police Force, the Kwara born Senator and former governor of Kwara State may have some information to give to the Police over what he may or may not know about the robbery that led to the death of several Police officers and other civilians. Recall, that some daredevil armed robbers had stormed the not too big city of Offa some weeks ago, wrecking havoc and leaving so much blood on their trail that the world was left pondering what could have given these hoodlums such temerity. The Nigerian Police under the very efficient leadership of IGP Idris Kpotum Rose to the occasion and a number of suspects have been rounded up in connection with the crime. While more details are awaited as regards to the reason for the invitation of Nigeria's number one lawmaker, observers are of the opinion that should the medical doctor turned politician be found to be in anyway connected to these criminals, then, there will be no better way to show Nigerians that the fight against crime respects no offices or names, than meting out the right punishment to the former presidential aspirant.